In its simplest term, Hyper-Convergence is the integration of compute, storage and network resource on a box in which virtualization technologies and X86 hardware platform is use. For a converged system, compute and storage are put together into a single device/appliance. As for Hyper-convergence, the hypervisor is added thus making the device as a mini Data Center. Being a mini Data Center, SimpliVity see that Hyper-Convergence or Convergence 3.0 should also deliver backup, Disaster Recovery, WAN Optimization and a Cloud Gateway. SimpliVity sees Hyper-Convergence as "Data Center in a Box" and this is how they build their Hyper-Convergence product – OmniCube. SimpliVity is formed in 2009 with it headquarter based off Massachusetts U.S.A. It mission statement is “Simplify IT”. To make IT simple, SimpliVity creates its hyperconverged infrastructure platform, OmniCube, by packaging OmniStack on an x86 platform that provides hypervisor, compute, storage services and network switching. OmniCube is a 2U rack mounted appliance. The hypervisor is an integral part of hyperconverged infrastructure and the hypervisor in OmniCube is the VMware’s ESXi. 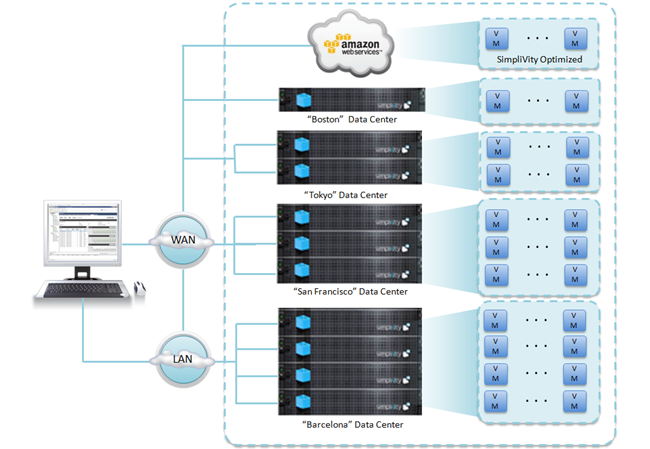 OmniCube is to provide high availability and no single point of failure with the goal of making IT operations SIMPLE. Besides putting compute, storage, networking and hypervisor onto a single appliance it is also to deliver enterprise features such as data protection and performance as well as cloud like scalability capability with its global federation with other OmniCubes managed via VMware’s vCenter. 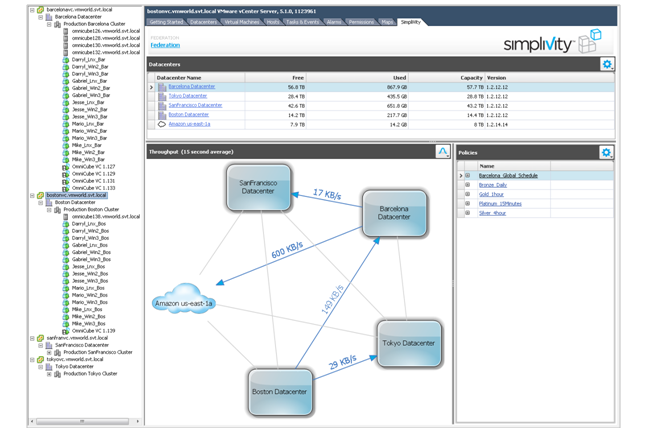 For a complete description of SimpliVity, you can visit their product page. Recently SimpliVity announced partnership with Cisco to ship the “OmniStack Integrated Solution with Cisco UCS”. 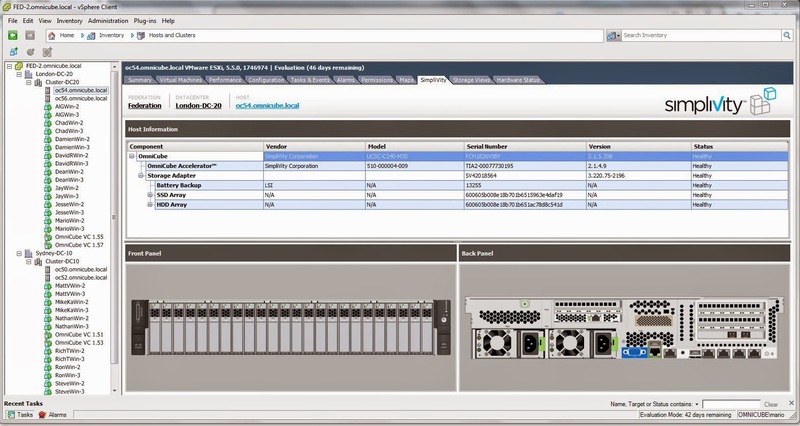 In August 25 2014, SimpliVity and Cisco had a press release announcing this OmniStack and UCS integration. The title of the press release is “New SimpliVity Integrated Solution with Cisco UCS Delivers The Best of Both Worlds: Cloud Economics With Enterprise Performance, Protection and Functionality”. Cloud economics means enterprise customer can enjoy the pooling of X86 resources and at the same time enjoy the enterprise level performance, protection and functionality such as high availability of the data center, data backup and restoration and the efficient handling of data offered by the SimpliVity OmniStack product. The initial integration is to put the OmniStack controller and OmniStack Accelerator Card on the Cisco UCS C240 M3 Series Rack mount server. Here is the reference architecture of this offering. In Eric Wright’s blog post this integration is to be a win-win opportunity for SimpliVity and Cisco in which SimpliVity can reach into new market segments and Cisco can have more product offering to existing and/or new customers. This is the software that runs as a controller on the VMware ESXi in which it is named as OVC (OmniStack Virtual Controller). Combining the functions of up to 12 different products. This is the hardware module in every OmniCube appliance that is used to perform the actual inline compression, deduplication of the data. This hardware module works closely with OmniStack Virtual Controller. The OmniStack Accelerator card is to off load the compute resources so that the CPU cycle can be dedicated to the application and to use this dedicated hardware to dedupe, compress and optimize the data. With this accomplished for the data, OmniStack (controller portion) can take advantage of the optimized data to provide global fabric thus allowing VM and data to be moved from one geographic location to another in a efficient and seamless manner. According to SimpliVity website, OmniStack Accelerator handles data in 4K to 8K blocks for any tier of storage media of a system as well as across different data center or even Amazon Web Services. The main idea is in-line deduplication, compression and optimization of the data. This is done before the data is written to storage thus reducing IOPS which translates to better performance. The term “Once and forever” is used in various places at SimpliVity website to describe the inline data operation. This is a screen shot taken from the SimpliVity vCenter plugin and the deduplication ratio is 123.2:1 and the efficiency ratio is 183:1. This is an important feature for more efficient operation to remote office branch office (ROBO), VDI and data protection. The about screen shot is from the SimpliVity vCenter plugin, it show how the user deduplication and compress ration as well as how much storage usage in an easy to read user interface. This innovation is to manage multiple instances of OmniCube as a single pool of resources. Besides integrating the ESXi in OmniCube, SimpliVity has a plugin to VMware’s vCenter providing VM-centric management and reporting capability. While having a plugin to vCenter, provides user an easy and familiar user interface to manage the Hyper-convergence infrastructure there are additional features that SimpliVity had build on top of this vCenter interface. On the right side of the SimpliVity vCenter console is the company logo. On the left there is a button – Federation. OmniCube has built in technology to “connect” to other OmniCube in the network. This is very use for connecting remote office, data protection and most of all the ability to scale out. Another feature is the policy-based data protection in which user can configure the time and interval for data or even VM level backup at remote or DR sites. Due to the in-line data deduplication, compression and optimization the backup and restoration of data and VM is made very efficient. SimpliVity has build-in support to interface with Amazon Web Service so that data or VM can be backup to the AWS storage. Again since the data are efficiently deduplicated, compressed and optimized this process is quite fast which helps user to meet better RPO and RTO. "About SimpliVity – Simplivity." Simplivity About SimpliVity Comments. N.p., n.d. Web. 28 Nov. 2014. 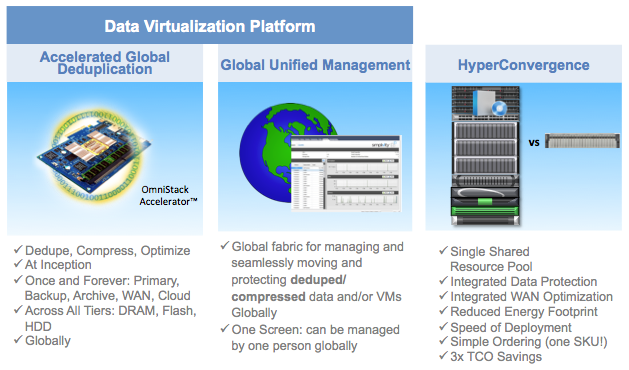 "OmniCube Hyperconverged Infrastructure | OmniCube Differentiation." Simplivity Differentiation Comments. N.p., n.d. Web. 03 Dec. 2014. ← #vBrownBag End of Year Give-Away! What about Scale Computing’s HC3x Hyper-converged solutions using KVM? 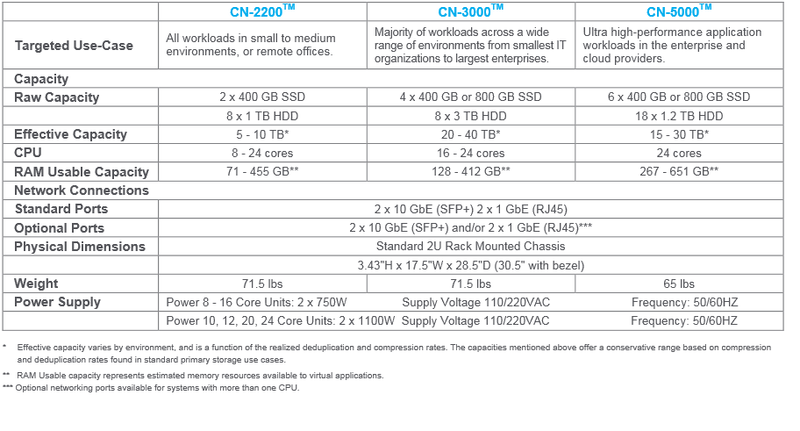 Anyone have any experience on this and how it stacks up to Nutanix and Simplivity?